Our experienced staff of surveyors and mappers utilize the latest technology in the field and in the office resulting in quality surveying and mapping services that have exceeded the expectations of our clients. 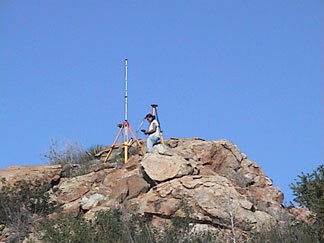 No matter where the project is located or what the terrain is like, our survey crews, equipped with computers, GPS and related electronic technologies, are able to provide accurate, cost-effective land surveys. By pre-calculating every construction-staking job in the office, our surveyors are able to begin staking immediately upon arriving at the job site, which results in time and cost savings for our clients and minimizes potential problems and construction delays. By always utilizing the proper tools and technologies for every job, we are able to increase our accuracy and efficiency to make our surveying and mapping services a true value for our clients. ©2014 Landmark Consulting, All Rights Reserved.